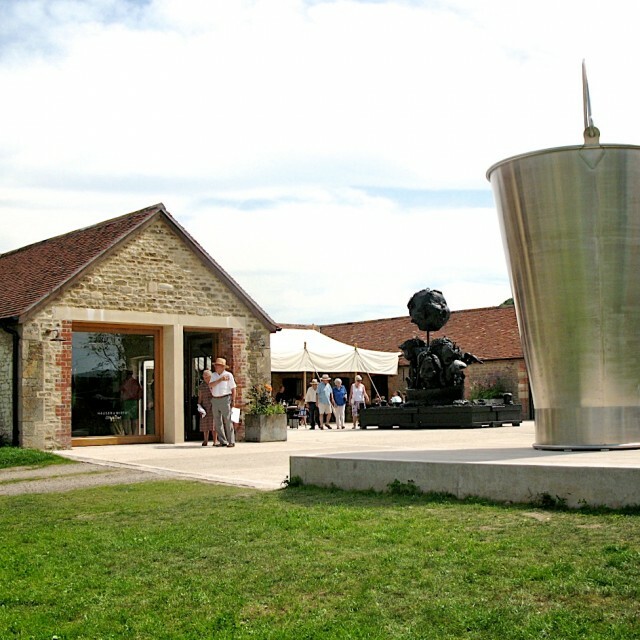 The Swiss couple who own the gallery, have been based in Bruton for a few years, and purchased the near-by working farm dating from 1760 for showcasing international artists as well as activities for visitors and artists’ residencies. The Gothic facade of the farmhouse building is embellished by Martin Creed’s piece made of white neon from 2011. The seven bedroom house is available for hire and inside there are more artworks by the gallery’s artists, such as the wall painting around the dining room. The reception and shop inside the cowshed have many original features. The Roth Bar & Grill has become a popular hang-out, with a site-specific bar designed by the son and grandson of Dieter Roth. The style is shabby chic rather than cool and contemporary.